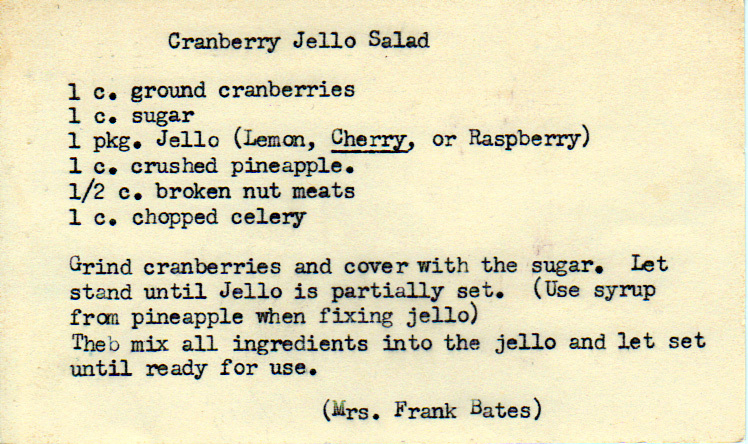 Cherries, pineapple, bananas, pecans, and Jell-o. 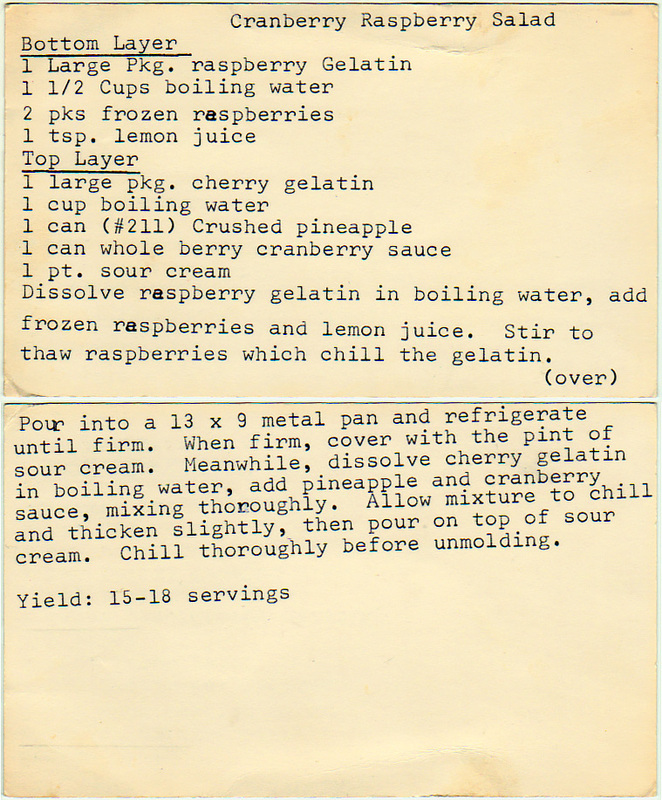 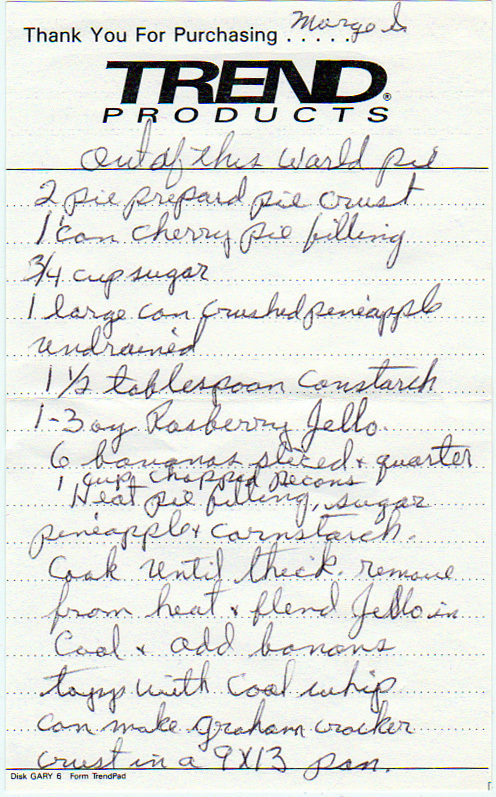 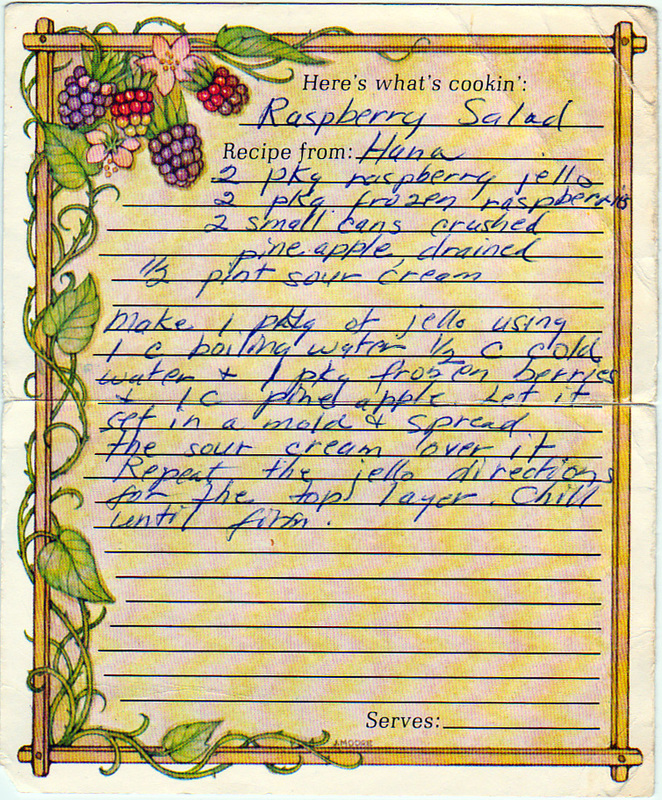 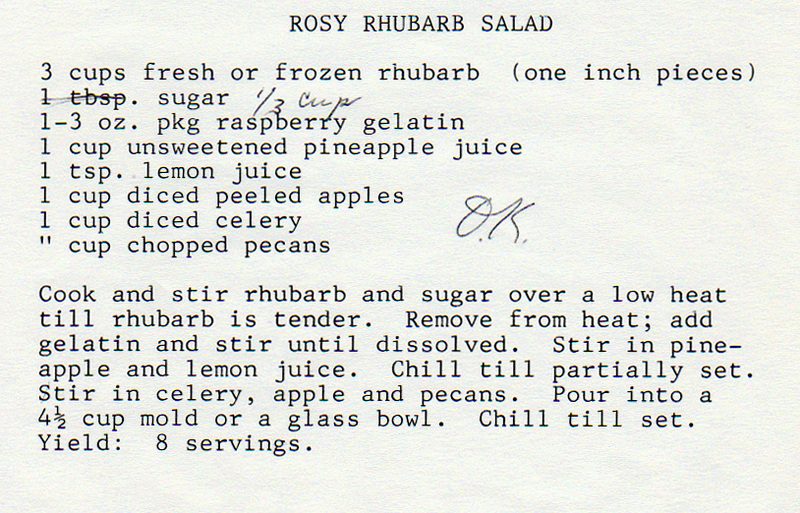 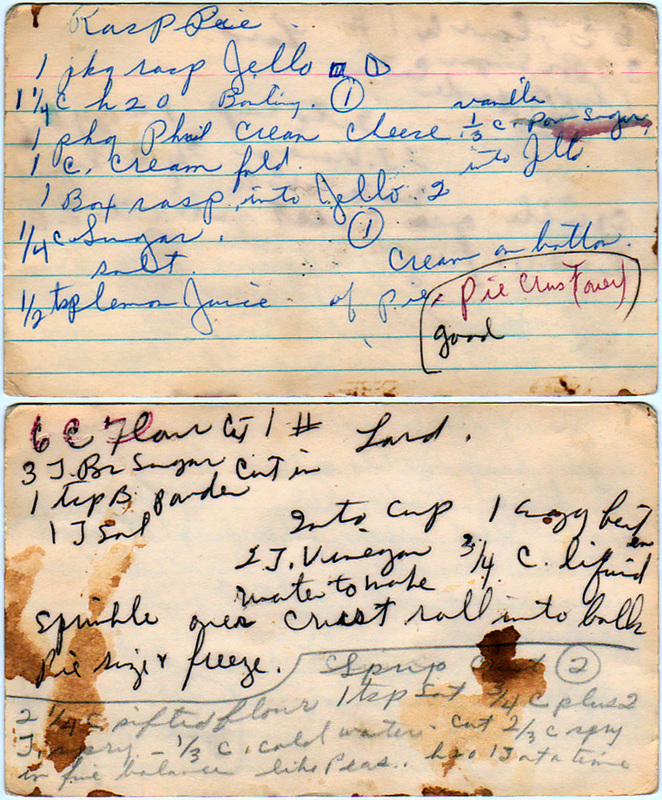 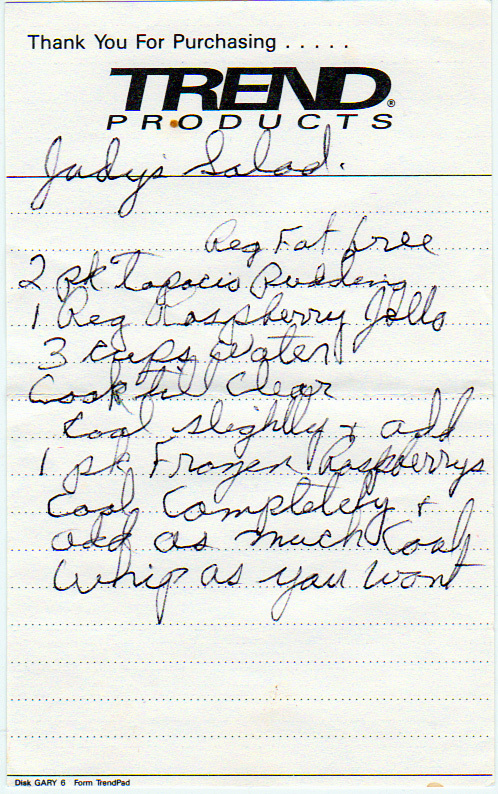 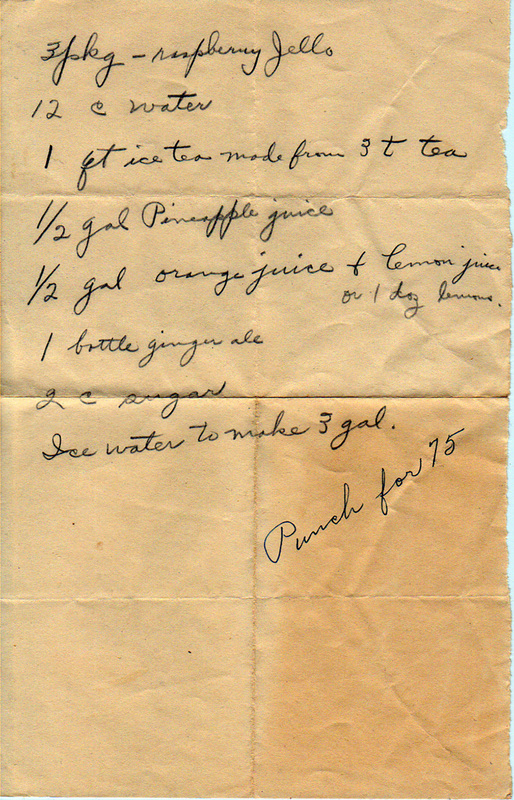 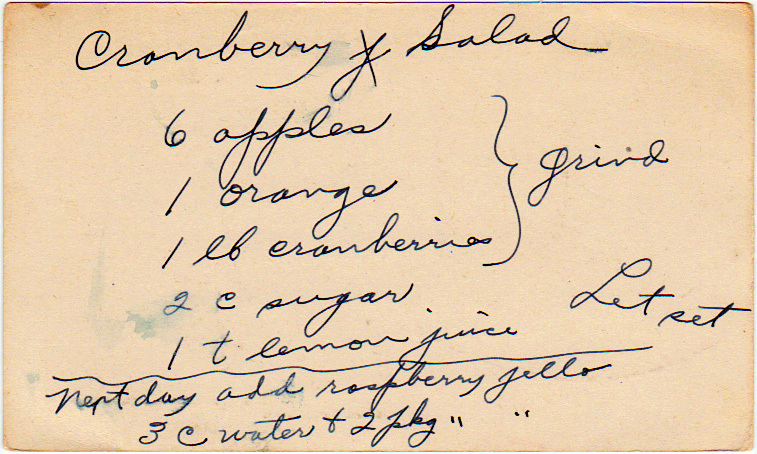 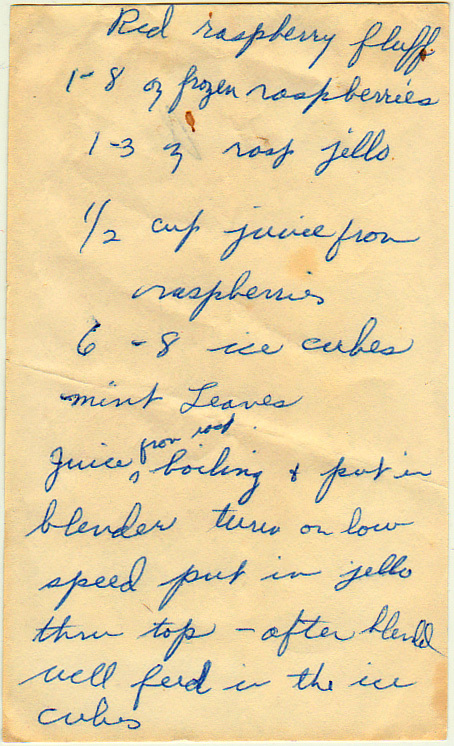 The second of two cranberry salad recipes in this box. 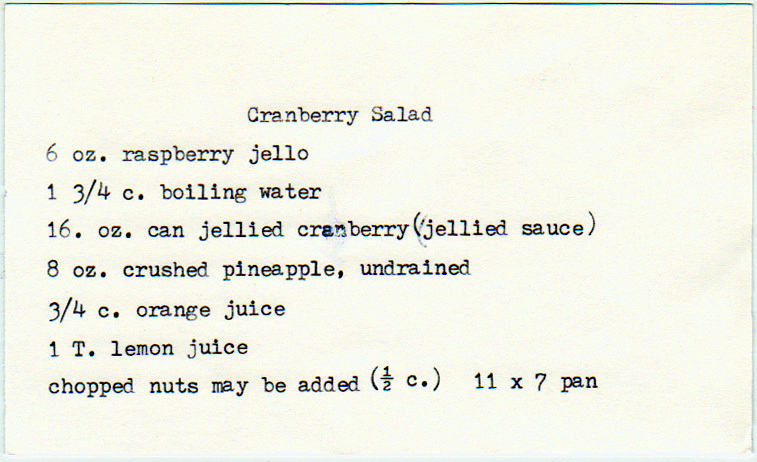 A molded salad with cranberries, celery and nuts.